This blog is for those startups, who want to develop an app like bike-sharing companies like Jump, Ofo, Mobike, and Bird. Here, we have listed top four features that can make your bike-sharing app successful. It seems like every company is making a big push into the bike-sharing market. The journey to the office is probably already on wheels, but you could power those wheels with a small push from the electric motor to new bike share option. By just tapping into the bike-sharing app solution, you can book or rent a bike for your nearby commute as it is considered as the general means of transportation. A bike-sharing option is not only giving a convenience to people but providing affordability, too. Let’s check out quickly bike sharing growth. In the recent times, the bike-sharing service has gained huge popularity in the market. 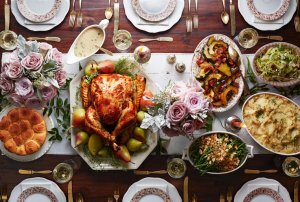 Last week, Uber, the ride-hailing company, has acquired bike-share startup Jump, adding the company’s fleet of 12,000 dockless electric bikes to its transportation offerings. Undoubtedly, Uber is paying a close attention to the growing popularity of bike-sharing services that are taking off in the cities across the world. According to the latest bike sharing statistics, there is a significant increase in the bike-sharing services in recent years. 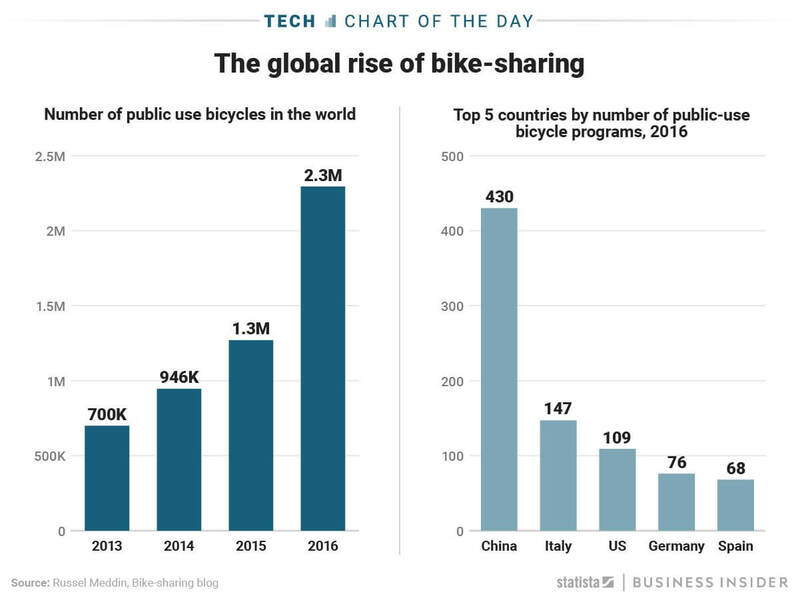 As per the below-given chart, the total number of public-use bikes has experienced massive growth since 2013, when there were only 700,000 public-use bikes in circulation across the world. By 2016, that number had over tripled to 2.3 million. Talking about the countries, the most significant growth took place in China that in 2016 had 430 public-use bike-sharing programs in operation. The bike-sharing economy is shaking up the transportation market across the globe. Jump: Since the bike-sharing startup launched in 2013, it had raised a $1.1M seed round funding in the same year. 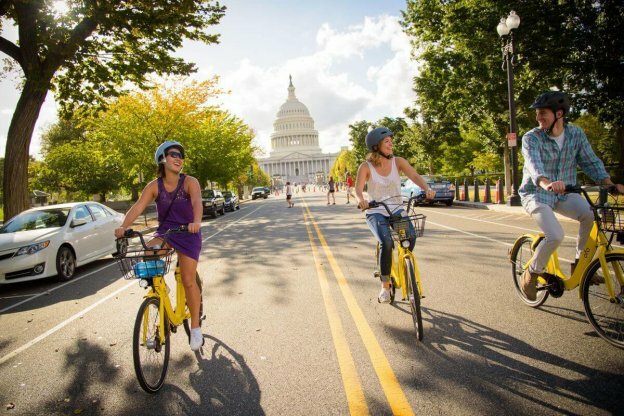 As it has already started its e-bike services in Washington D.C., the company has partnered with Uber in San Francisco to offer an electric motor assisted ride to users for the next nine months. Now, Jump and its fleet of e-bikes is officially a part of Uber, pedaling Uber away from solely cars and driving to get around. However, it is a big step in Uber’s transformation into a multi-modal platform. Ofo and Mobike: Talking about Ofo and Mobike, both are the largest bike-sharing companies in China. 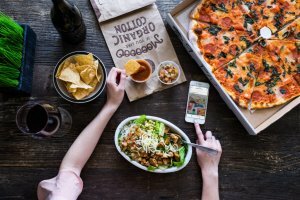 And, both the companies now valued more than $1 billion and have secured their place in the unicorn companies. Recently, Meituan-Dianping, China’s biggest provider of on-demand services, including food-delivery to ride-hailing, has acquired Mobike, the country’s biggest dockless electric bicycle company. 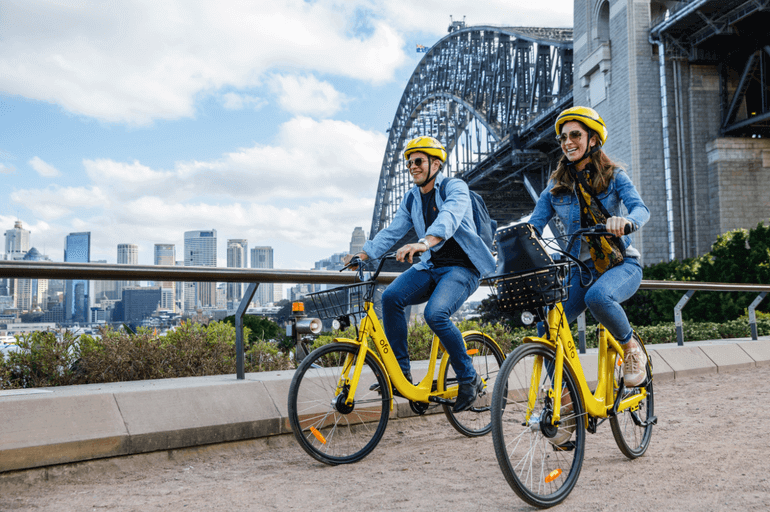 When it comes to Ofo, the very famous electric bicycle company operates over 10 million yellow bicycles in 250 cities and 20 countries as of 2017. The bike-sharing company makes use of smartphone app to unlock bicycles, charging an hourly rate for use. When it comes to developing a successful bike-sharing app like Ofo and mobike, one of the main features that you can consider is – allow people to find a bike anytime and anywhere. Make this feature as easy as possible so that riders do not face any difficulty while looking for a nearby bike. 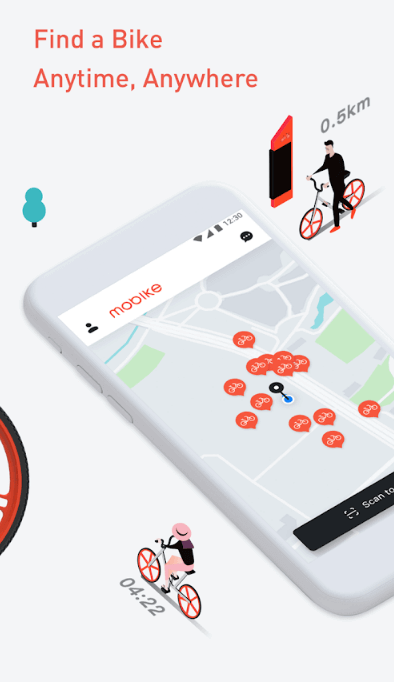 The bike-sharing apps track the bikes through the rider’s GPS location using the app, enabling other people to find a bike anytime. This must-have feature is basic, which you need to consider if you are planning to make the best bike sharing application. 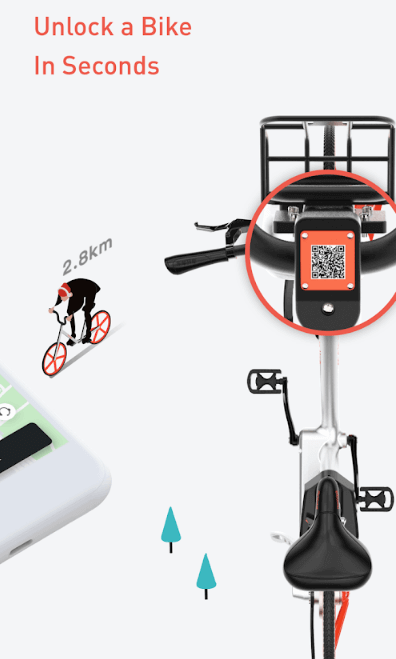 Another important feature that can make your bike sharing app successful is allowing people to unlock the bike by scanning a QR code in just seconds. They can tap the “unlock” button and scan the QR code to automatically unlock the bike. Try to make unlocking the bike as simple as possible so that people do not face any hassle while unlocking it. Within just a few seconds, they can unlock the bike and start their journey whether they are exploring the nearby areas, traveling to office or home. The next essential feature to consider while developing an app like Uber bike-sharing is to allow users to make payments after the trip without any hassle. Consider making this feature a lot easier, so riders can make payments with just a single tap on the screen. Moreover, you need to consider the security of your riders’ included data like credit/debit card details. Also, you can provide a promo code or discount deal, which will be automatically applied in total cost. 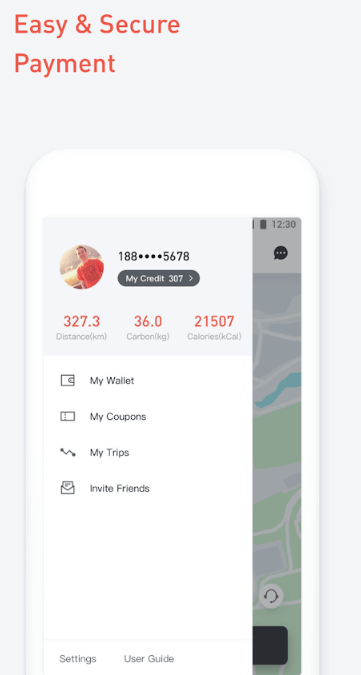 Regardless of the city or country for which you are developing the bike-sharing app, make sure to make payments a lot of easier for your customers so that they can get user-friendly experience. The fourth important feature that you can include in your dockless bike sharing app enables your riders to book a bike in advance so that they do not have to wait when they are riding office or coming back home. By booking a bike in advance, they will not be late for their destination and it will be a highly useful feature in those areas, where bikes disappear instantly in the morning or evening time. Thus, you can allow your riders to book their bike in advance and this feature can convince people to book bike with you only. So, these are the top 4 features that are must consider if you are planning to develop an app like Ofo or Mobike. It doesn’t matter whether you are targeting a single city or country, providing features that make it easy for people to use your bike-sharing app plays a significant role to make your app successful. In case, if you still have any confusion or query like how much does it cost to make a bike-sharing app like oFo or Jump, you can directly get in touch with us through below-give form and our sales representative will get back to you to solve your all queries and confusion. This page was last edited on March 15th, 2019, at 4:23.